November | 2014 | Wait... What? The first two and half years that I lived in San Salvador, back in the early ‘90s, I didn’t work. I spent my time adapting, perfecting my Spanish, and learning from my mother-in-law how to cook, wash clothes, and take care of a house and family the Salvadoran Barrio way. The other thing I did was read. I’d read anything I could get my hands on, often finishing a book in a day or two if my supply was plentiful. A few months after I arrived, however, I had run out of things to read and was getting a little bored. By then my husband had started working as a mechanic in the shop where he had apprenticed as a teenager. We were not taking trips out to the beach or hanging out on the patio anymore, and I had mastered much of the housewifely chore learning. I was looking for something to do with my time and my attention turned to finding books. I realized that finding books was going to be a challenge. There were no bookstores in downtown San Salvador, which was the extent of my range of movement at the time. So I asked my husband if there was a university anywhere, because certainly they would have a bookstore. So I asked what the problem was. Why couldn’t we? He explained that people like him, people from the Barrio, didn’t go to universities, and that if poor people went where the fufurufu (Salvadoran slang for wealthy, snobby, fancy, powerful people) lived, the police would chase them out. If as kids he and his brother had dared to walk into places where they didn’t belong, he said, the police (which was, at that time, the feared military police) would want to know what they were doing there and they’d be in big trouble. So they didn’t go to places like that. With the idea of going to a university bookstore ruled out, he suggested that we go to “La Hispanoamerica,” a school supply shop downtown, to see if we could find something there. I was in luck — Hispanoamerica had a shelf full of classics in Spanish and even some in English, so I started browsing. A clerk quickly came over. She was annoyed that I was behind the glass counter touching the books. At this point I understood that this was not a place where people browsed to find something to read, it was a place you came to buy the books that you had been assigned to read. Foiled again. I felt sheepish for not understanding the situation, and my husband was a little embarrassed by my walking behind the counter in the first place, and because the clerk seemed to think I was an idiot. “You can’t just walk behind the counter,” he told me. I felt like again he was asking me, “Just who do you think you are?” So I ended up not buying anything. These books ranged from romance novels to best sellers to biographies. I’d go to the post office a few blocks away downtown and spend the entire morning standing in lines, filling out paper work and waiting for signatures, purchasing colorful tax stamps at the bank and returning to the post office so that the clerks could wet and affix them to the boxes and mark them with government seals. It was an education in how the bureaucratic system of the country worked, learned through the simple act of picking up a box of used books. I didn’t have much choice, so once I finally had them back to the house, I read them all. 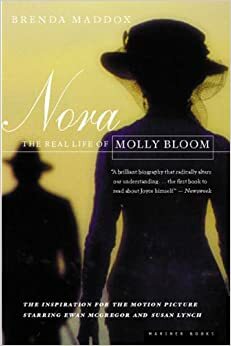 I remember reading a fascinating biography about a woman named Nora Barnacle, the wife of author James Joyce, a famous (I then discovered) Irish author. At that time in my life, I never imagined that I’d end up one day having a job where I could travel the world. I wasn’t even able to get my hands on a copy of James Joyce’s books at that point, much less think about visiting his home country of Ireland. Last week, however, there I was in Dublin, where Joyce did much of his writing. Before leaving home, I grabbed a copy of his book Dubliners from my college-aged son’s bookshelf for the trip. I figured it was high time I finally read some Joyce. Dubliners is a set of short stories written by Joyce when he was only 25 years old, just slightly older than I was when I was milling around San Salvador looking for books, and learning how to live in the Barrio. The stories focus on ordinary life in Dublin in the 19th century, after the city had weathered a long decline. They talk of grimy children, tenements, poor sewage systems, and a working class that struggles to make ends meet. The comparisons with Salvadoran barrios are easy to make. At dinner in a nice restaurant with friends one evening last week, something triggered me to tell my tablemates the story of finding books in San Salvador, and how it had made me examine my own privilege and to consider the limits that my husband had set for himself as someone who identified himself as being ‘poor’ and ‘from the Barrio.’ How often we self-marginalize because we feel like we don’t belong, or because a dominant class or culture sets clear boundaries that we are not supposed to think about crossing. These boundaries become strong mental and physical barriers and deter us from entering both the spaces and places of the privileged. Because humans are adaptable, however, these can be learned and unlearned. I discovered, for example, that I wasn’t supposed to do certain things in San Salvador because of the class that I had married into or because I was female, and I altered my behavior. When I moved back to the US, I re-learned things I had unlearned in El Salvador about what women should and shouldn’t, can and can’t do. Similarly, over time, my (now ex) husband learned that he could do things that he thought he wasn’t supposed to. He ended up returning to finish high school, and eventually went on to get a university degree. This was in part because he started to believe that he could, part because universities became more accessible, and part because I had started working and we had a little more money to allow him to pay fees and to work less. I think about this experience a lot in the work I do, because I’m often working with or writing about marginalized groups and ways to improve inclusion. How can we help people overcome self-imposed barriers? What should institutions and social spaces look like physically, culturally and attitudinally, so that they can be inclusive? How do girls and women in particular self-exclude, and what kinds of wider environments are needed to reduce gender exclusion? I know that these barriers can be unlearned and overcome, but not without some work, support and effort on different fronts, including from those institutions and spaces that are excluding. Yesterday a friend from the Dublin dinner conversation emailed me while I was sitting in a little coffee shop, getting some work done. He was over at Trinity College at the Book of Kells exhibit. “Was only here for a few moments when I thought of you and your book story,” he wrote. So I met him there to see it. 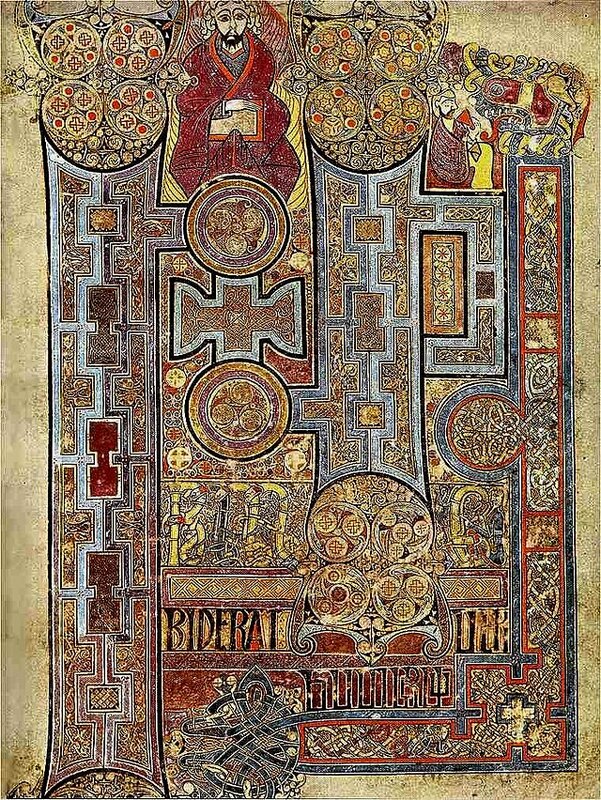 The Book of Kells is a very old bible, from 800 a.d.. It is housed in a glass case, and it’s full of gorgeous illustrations in amazing color. Upstairs from the Book of Kells itself is a library full of other old books. They are all roped off or encased in glass, physically off limits like the ones at the Hispanoamerica and the university bookstore that we were not supposed to go into back in El Salvador — yet for slightly different reasons. Afterwards, we went to grab a quick lunch. We wandered down a small street where I had spied a sign that looked to me like it said ‘Daily Bread.’ “Let’s see what they have,” I said. (Oh, my terrible eyesight!) The shop was actually a pub called “Davy Byrnes,” but no matter, it was 3pm and they were still serving food. In fact, inside there were a lot of people having an early happy hour and lively conversations. We ordered some hearty food. My friend ate quickly and ran off to catch his flight. I stayed around to finish my lunch and decided to order a glass of wine, as the atmosphere was warm and friendly (and inclusive!). In the process of eating, I knocked my knife off the table and onto the floor. It clattered loudly and landed in right between the feet of an elderly man with a cane sitting next to me. I apologized and leaned over to pick it up. “A harrrr!” He turned to me and laughed loud and long, perhaps a bit tipsy from the port he was drinking. “Soooo! Now I’m gonna trow a pen at you!” he said, and reached into his vest pocket while wiggling his eyebrows and staring at me intently with watery pale blue eyes. He cackled like a pirate and threw a pen onto the floor near my feet. He went on to tell me some short stories of his own, riddled with the kind of swearing that you might expect from a feisty old Irish man you find in a pub. He finally leaned on his cane to get up and head home, leaving behind his book from the Joyce exhibit and his cap. The bartender assured me he would be back to get them. As I settled up my bill, I asked what was the story of the pub, since it was unlike any other I’d ever patronized. Strangely enough I learned that Davy Byrnes, the pub we’d randomly wandered into, is famous for its association with Joyce. He spent time there, wrote there, mentions said “Davy Byrnes” in his books, and it’s been known since 1889 as Dublin’s most famous literary pub. It’s weird how people, things and themes wander through your life and come together at points you never expect. The question “Who do you think you are?” has stuck with me, for better or worse, and it pops into mind at different times. “Who do you think you are? Do you think you can just walk in there and…?” It’s a good one for examining privilege, or on the flipside, exclusion.